Confluence: Celtic and Arabian Visions and Stories aims to bring cultures closer together through art - underlining how ideas and values are shared by geographically distant cultures and countries. 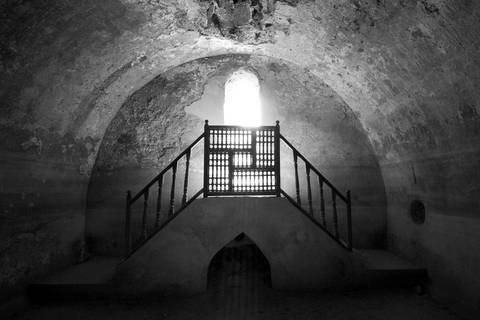 The international grassroots collaboration is led by Laura Hudson Mackay, a photographic artist from New Abbey in Dumfries and Galloway. The book initiative has its roots in a project initiated through Upland CIC which was further developed when Laura’s team were Upland’s Artists in Residence at the 2017 Wigtown Book Festival (see notes). Contributors include Clare Melinsky – known to millions for the Harry Potter book covers and Penguin Shakespeare series – who has created a series of delightful illustrations. Other supporters include BBC Africa Correspondent and author of The Last Storytellers: Tales from the Heart of Morocco, Richard Hamilton, who wrote the introduction, and writer, journalist and documentary filmmaker Tahir Shah who provided the foreword. The book is rich with new and traditional tales and photographic art from different people and places, including stories by Celtic storyteller Anne Errington and Mehdi El Ghaly from Marrakech. These sit beside photographs by Laura and her Moroccan counterpart, Houssain Belabbes. A crowdfunding campaign was launched on 13 March to raise the funds to print 250 hardback copies of the 192-page art book. It is being done through Kickstarter and all the money must be raised within 30 days or the project receives nothing. “We are asking people to help us raise the funds to get the book into print so we can move forward in promoting cultural understanding, tolerance and collaboration and showcase young Arabian and Celtic storytellers. 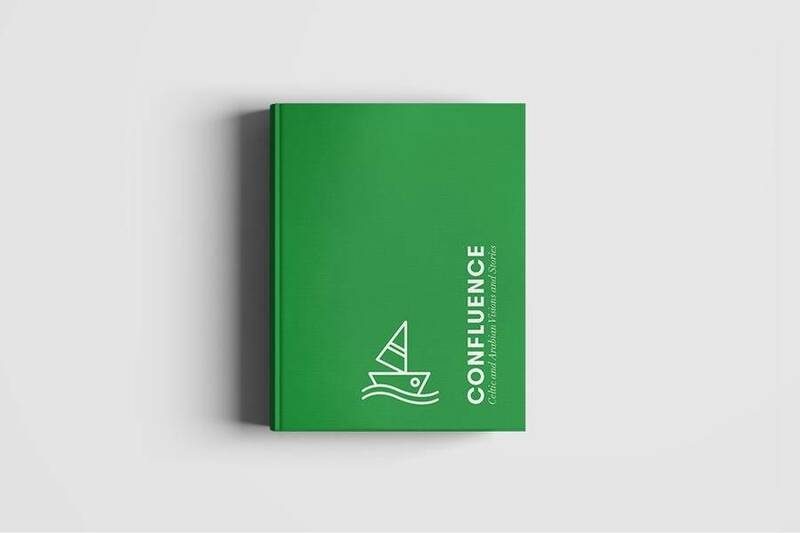 Through Confluence we have given some of them the opportunity to work together, to interact, to share and to inspire one another, changing attitudes and perceptions in the process. People backing the crowdfunding campaign can receive rewards including artwork from the book. Any profits will go back into Confluence, to fund further artistic residencies and exchanges. The book has seven chapters addressing the themes of Water, Happiness, The Number 3, Old, Time, Silence and Money. 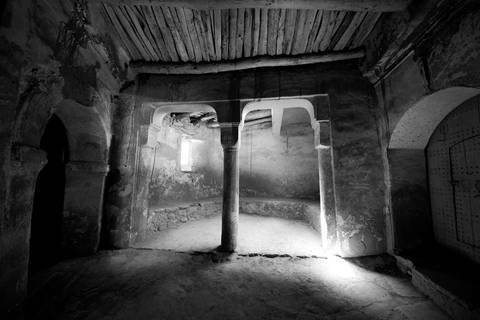 Plans for the future include books of stories linking other cultures and also creating opportunities for young Western apprentice storytellers to travel to places like Morocco to learn about the ancient traditions of oral storytelling which still flourish there today. Adrian Turpin, director of the Wigtown Book Festival, said: “This is a wonderful project. The huge interest in Confluence at the Wigtown Book Festival shows what an interest a there is in this kind of collaboration across cultures, and the richness of the links between the Celtic and Arabian worlds." Amy Marletta, Projects Director, Upland CIC said: "We are delighted that we could support Laura to develop the Confluence project in its early stages and to see how much it's grown is really exciting. “To capture the project at this stage in the form of a beautifully designed book would be wonderful and fitting, enabling further collaborations to evolve and creating a tangible way to share the project with others - it really reflects the spirit of the whole project." If the campaign is successful the book’s Scottish launch will take place at The Craigard Gallery, in Wigtown, on the 25 May 2018. Visitors will then be able to go to the gallery and learn more about the project from Laura as part of Spring Fling, Scotland’s premier open studios weekend, which takes place across Dumfries and Galloway from 26-28 May. The Confluence project was originally initiated through support from Upland Arts Development CIC, the arts and crafts development organisation from Dumfries & Galloway, as part of an artist lead project enabling Upland Member Artists to collaborate with international artists with whom they already have links. The annual Upland residency at the festival is a long-running collaboration between two of the region’s leading arts organisations. 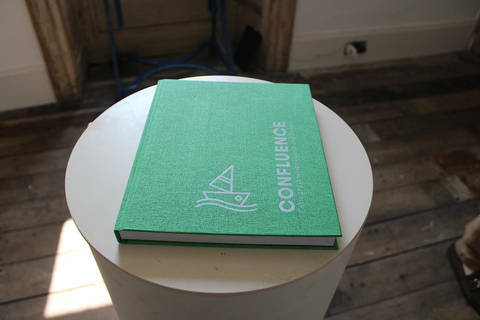 The initial stages of Confluence were funded by the LEADER 2014-2020 programme and Creative Scotland. Confluence at Wigtown Book Festival!